For the first time in three years, there won’t be a new banner lifted to the rafters at Clare Drake Arena. 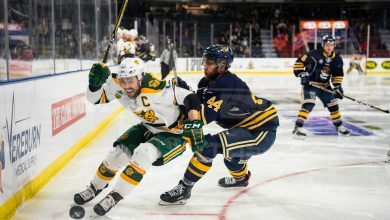 The Golden Bears hockey team were swept by the Saskatchewan Huskies in the Canada West finals earlier this month, marking the first time they hadn’t been crowned conference champions since 2012. But since they were finalists from their conference, the Bears were given a chance to redeem themselves by bringing home their third-consecutive University Cup from CIS Nationals in Halifax last weekend. They entered the tournament as the No. 6 seed, and matched up with the St. Francis Xavier X-Men in the quarterfinals. After jumping out to a quick two-goal lead in the first period with goals from from Jamie Crooks and Riley Kieser, the Bears fell apart. The X-Men, in front of their hometown crowd, potted six unanswered goals in the second and third period en route to a commanding 6-2 victory. 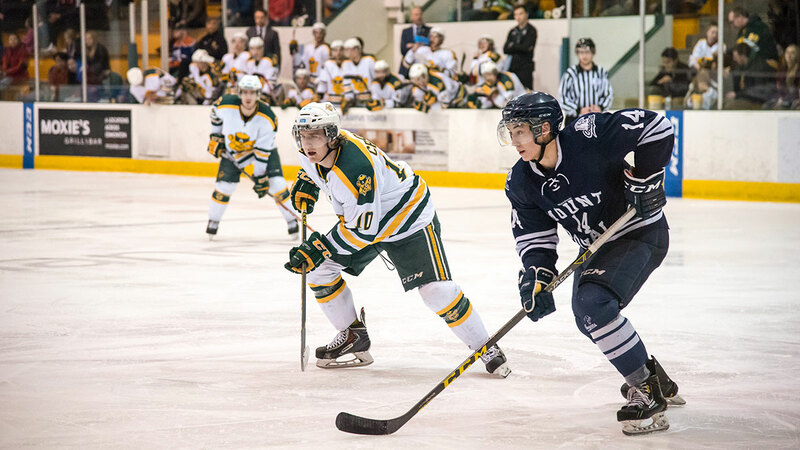 The X-Men eventually lost to their Atlantic Conference rivals from the University of New Brunswick in the Gold Medal game, while the Bears were forced to try and enjoy Halifax for the weekend. Head coach Serge Lajoie, who wrapped up his first season behind the Bears bench, said coming home empty handed was a difficult pill for him and the team to swallow. Lajoie went on to say that the most difficult part of the season didn’t simply boil down to wins and losses, it’s the fact he thought he didn’t get as much out of his group of players as he possibly could have. 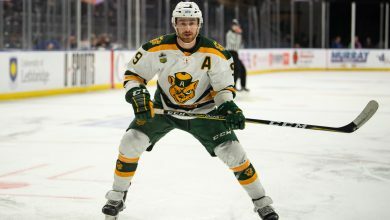 Looking to next year, Lajoie and the rest of his staff are tasked with the difficult job of replacing seven fifth-year players who are graduating from the program this year. Among the graduating players is captain Kruise Reddick, who said that losing in the first round to St. FX after winning the tournament twice before was absolutely devastating. Despite the devastating way the season ended and the exodus of talented players leaving the system, Reddick said that he has nothing but the utmost confidence in Lajoie and the program moving forward. Along with Reddick, the Bears will be losing their two leading scorers, Jordan Hickmott and Levko Koper, Canada West Defenceman of the Year winner Jordan Rowley, and other major contributors in Brett Ferguson, Thomas Carr, and James Dobrowolski. Lajoie said although they’ll be adding 10 to 12 new players next season, he isn’t viewing 2017 as a rebuild. Instead, he’s referring to it as a reload.